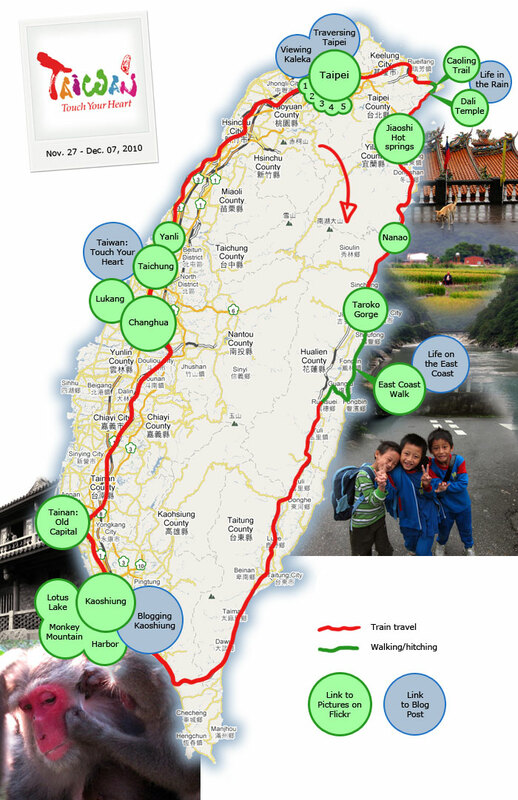 A little interactive map of our Taiwan journey. Click on green circles to go to the corresponding photo album on flickr; blue circles will take you to their corresponding blog post. If you find this interactive visualization interesting or helpful, please leave a comment, so that I can better decide whether or not to make similar maps for future countries—thanks! this is great dude. can follow you around with a map in my head, and quickly skip the parts that are not interesting to me, and jump to the ones that are. that dali temple is something i must visit. Posted by ben on Dec 19th, 2010 at 3:22 am.